There is nothing worse than the idea of cockroaches crawling all over you while you sleep. It is truly vile and disgusting. Fortunately, there are some things you can do to help keep roaches away from your bed, and most of them are quick and easy to implement. Let’s take a look at everything you need to know to live a pest-free life! 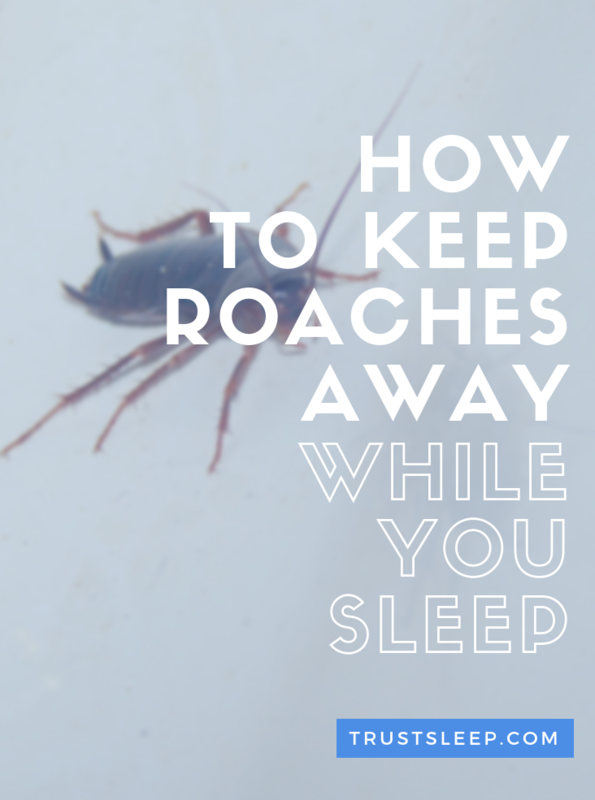 Continue reading to discover how to keep roaches away while you sleep. Why Do Cockroaches Keep Coming Into My Bedroom? Can Cockroaches Come Into My Bed? Will Cockroaches Stay Away If I Sleep With The Light On? What Else Can I Do To Keep Cockroaches Away? The first thing you need to do is do a deep clean of your bedroom. This means dusting, cleaning the floors, removing the cardboard, old paper, socks that are hidden under your bed, etc. Keep things off the floor, put laundry in a laundry-basket, etc. This is because cockroaches love hiding spots, and when they are forced to, will eat things like trash and books in order to survive. By removing these things, you are removing any incentive for the cockroaches to enter your bedroom. Additionally, if your room is a mess it can be extremely difficult to tell if cockroaches are in fact invading your bedroom and if the problem is getting any better. Do this every week. We know it is not exactly a lot of fun to clean your room, but once it is clean, it will be much easier to keep it clean. In fact, it may only take fifteen minutes or so to keep it clean going forward. This should be surprising to absolutely no one, but cockroaches are attracted to food. One easy way to keep roaches away while you sleep is to never eat food in your bedroom. Yes, we understand how fantastic it can be to have a nice relaxing breakfast in bed. Unfortunately, every time you do this, you risk leaving trace amounts of food remnants in your bedroom, thus attracting roaches. Stick to only eating in the kitchen or dining room and make sure you leave your area spotless when you are finished. Gel-based cockroach bail is an excellent way to deal with your cockroach infestation once and for all. We are big fans of gel bait formulas that can be used indoors, outdoors, and in various conditions. It uses a powerful formula that cockroaches find irresistible and quickly destroys even the most stubborn roaches. 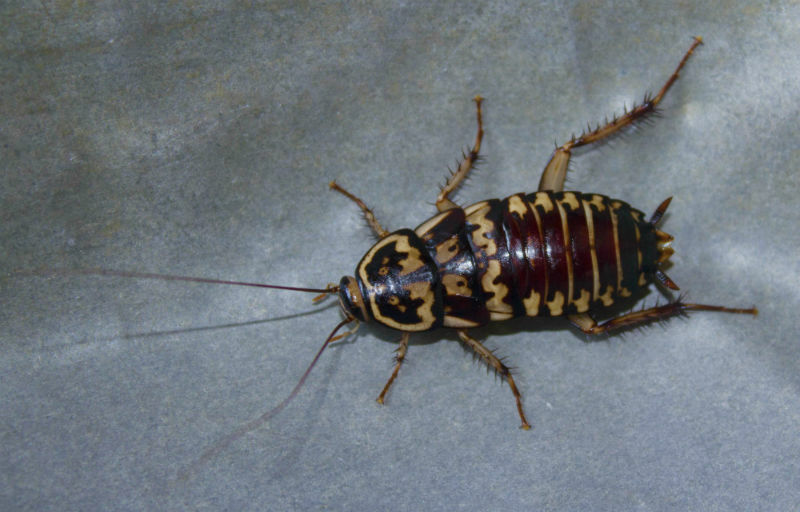 We recommend ordering enough to use in your entire home, and then placing them in places where cockroaches are likely to emerge – in your cabinets, behind your stove and refrigerator, under the sinks, etc. This is a fantastic solution, just make sure you keep it away from any pets or small children. In theory, this works by utilizing ultrasonic technology that essentially disrupts the cockroaches and forces them eventually to leave the domicile, thus stopping your infestation. One of the best things about electronic pest repellents is that there are no gases, fumes, or poisonous materials to deal with – you simply plug in these in each room of your house and roaches, flies, mice, spiders, and other pests are taken care of. Additionally, electronic repellents are inaudible for humans and pests, which means you will hardly notice that it is there. Look for any entrance points and try and seal these off immediately. This includes cracks in your baseboard, small holes in your walls, open spaces in your windows sill, and more. Use proper plastering to patch these issues up. If you do not have the expertise to do these things yourself, considering calling your landlord if you are renting your current domicile. If you are a homeowner, consider calling a local handyman to help you with the job. Have you ever noticed the small little gap underneath your door? Unfortunately, this small little space can be enough to let cockroaches come waltzing into your bedroom. Fortunately, installing your own weather stripping or door bottom is actually extremely easy and will help keep cockroaches away from your bedroom while you sleep. We recommend installing door bottoms throughout your home – it can both prevent pests from entering your house, and it is also energy efficient. Make sure you use a high-quality and affordable drill to install it correctly. 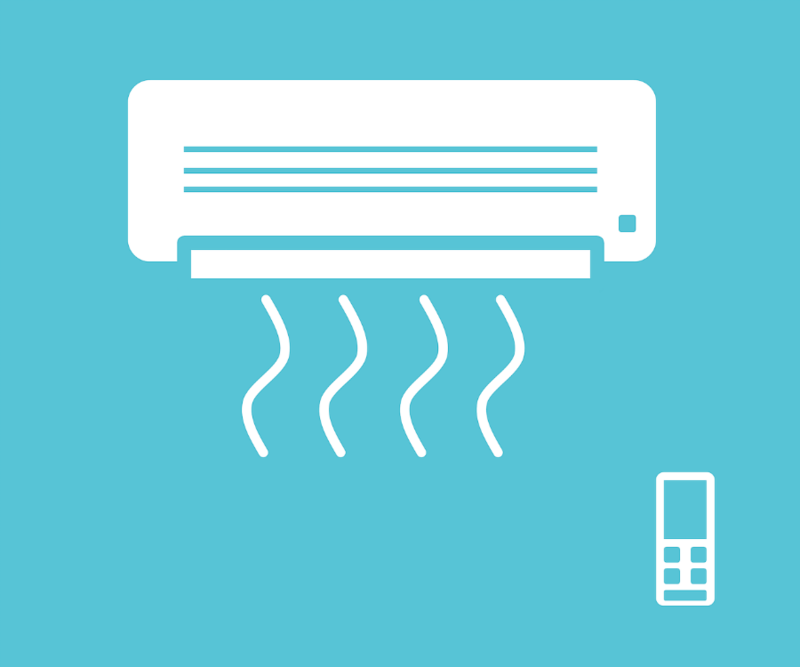 Air conditioning units can be a great way to escape the heat in the summertime, but they can also allow roaches and other pests to enter your bedroom. If you have an AC unit installed, make sure you thoroughly investigate both the unit itself and the surrounding area. Keep in mind that cockroaches may be able to wiggle their way into your bedroom using the slightest opening, so make sure you properly seal any openings in your window and any tears on the unit itself. Doing this can prevent cockroaches from entering your bedroom. When it is warmer out, cockroaches find it easier to use their muscles and fly. This, as you can imagine, is no good. The only thing worse than a cockroach infestation is a flying cockroach infestation. 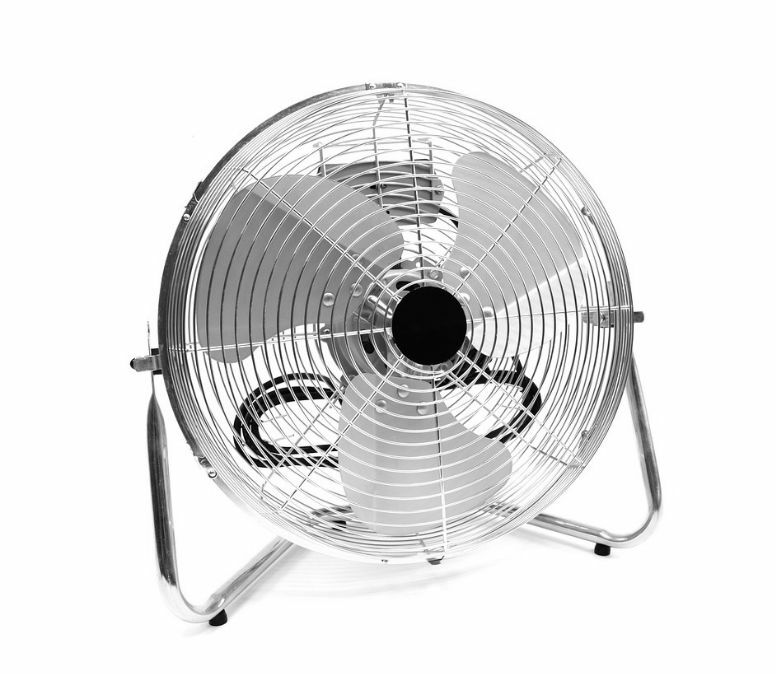 Whenever possible, turn up the AC in your room, and use a fan to keep the cool air circulating. Although this won’t drive them out of your bedroom completely, it should help keep them grounded. Believe it or not, you can use your cats favorite material to help repel cockroaches from your bedroom. This is because it has roach repealing compounds, thus preventing cockroaches from entering your bedroom in the first place. Place small amounts of catnip around your bedroom doors and windows to drive roaches away. Keep in mind that this will not exterminate the roaches, but preventing them from crawling on you while you sleep might be the next best thing. 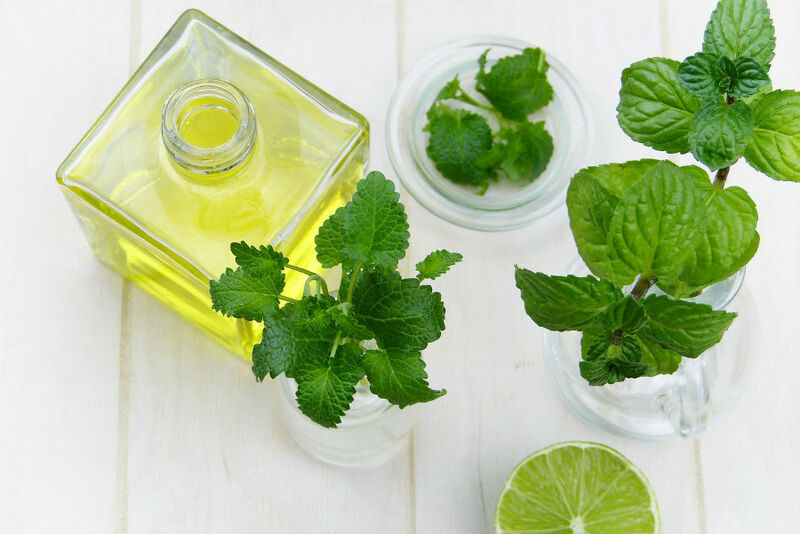 Like catnip, using peppermint oil is also a great over-the-counter way to repel roaches. Put water with white vinegar and peppermint oil in a spray bottle and spray the problematic areas of your bedroom such as the windows, doorways, and more. You can also use this peppermint spray on a live roach if you are unfortunate enough to encounter one. Cockroaches, like people, need water to survive. If you find them in your bedroom, bathroom, or kitchen, it may be because they are taking advantage of water leaks you may not even know about. 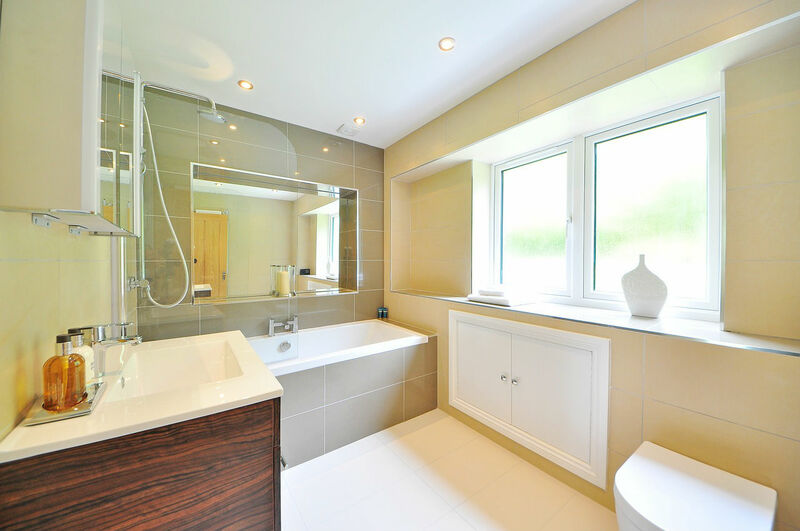 Investigate all of the faucets in your home, especially if you have a master bathroom. Properly fixing any leaks you have will most likely not destroy all of the cockroaches, but it may cause them to look elsewhere, thus keeping them away from you while you sleep. If you have tried all of these tactics and still can’t seem to get rid of your cockroach problem, it is time to call an exterminator. 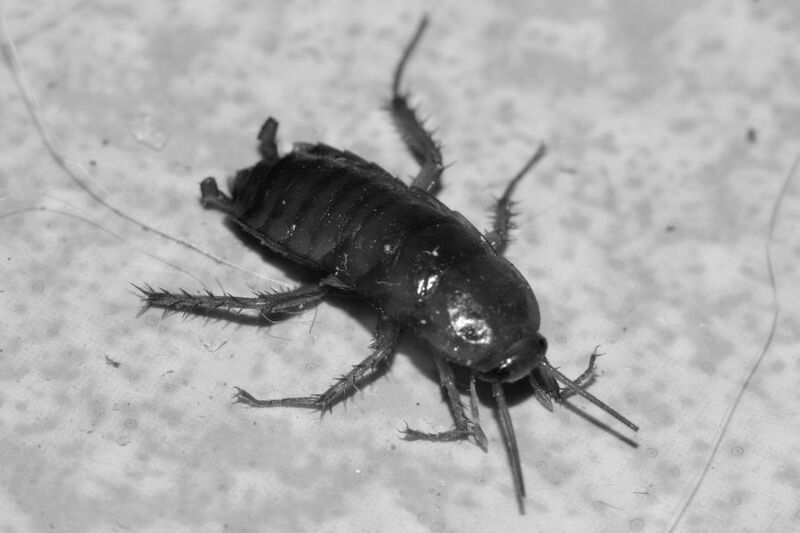 A high-quality exterminator should be able to get rid of your roach problem once and for all, so do not fret if these other tactics prove to be unsuccessful. Unfortunately, cockroaches are extremely resilient and resourceful creatures, and no matter what we do to try and outsmart them, they get the best of us. It can be difficult to know exactly what cockroaches are thinking. We do know, however, that they are extremely resourceful, and only need three things to thrive – water, food, and shelter. Depending on your living situation or preferred living habits, your bedroom or apartment may have all of these things. This is why it is so important to follow the recommendations in this article, which all generally center around removing their access to food and water, and making your room inhospitable via electronic repellents, gel repellents, essential oils, and more. Unfortunately, yes, cockroaches can enter your bed. This is because most roaches are excellent climbers, and worst of all, many can fly. We know that is not the answer you want to hear, but it is the truth. This is why the solution isn’t to keep roaches away while you sleep since it is only temporary. The real solution is to keep them out of your bedroom, and eventually your home, once and for all. A couple quick and easy things you can do to keep the non-flying cockroaches out of your bed is to move your bed away from the wall, and also to make sure you have nothing that is easily climbable, such as excess sheets or blankets, hanging over the bed. It depends. 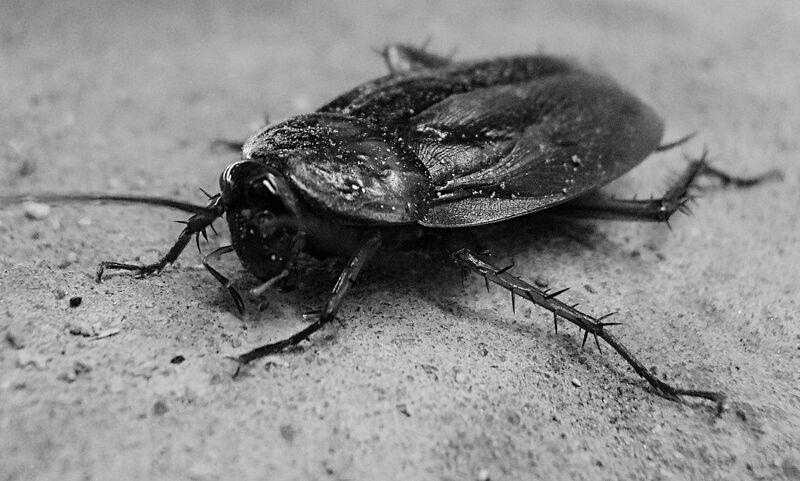 Some may be deterred by the presence of the light, and other more adventurous cockroaches may still come into your bedroom. Sleeping with the light on is not a great longterm solution. Unless you use a sleep mask, it may negatively affect your sleep and you are still not dealing with the underlying problem – the roach infestation. However, it is certainly something you can try in the interim, just don’t expect phenomenal results in the long term. If you implement all of these tips and tricks and still find cockroaches in your bedroom, we consider implementing all of these tactics in your entire home. Yes, it can be a pain to seal every window in the house, deep clean every room, and use a gel repellent or electronic repellent in every room, etc, but it really can make a difference against roaches and other pests. Again, if all else fails, call an exterminator and they will hopefully be able to finish the job. Encountering cockroaches in your bedroom can be truly gross, but fortunately, there are a lot of things you can do at home to keep them out of your personal space. We hope you have enjoyed reading this article, and we hope it has been informative. If you have any other great tips on how to keep roaches away while you sleep, feel free to leave a comment below. We would love to hear from you. Enjoy your fantastic (and pest-free!) bedroom. ← Best Pillow With A Hole In The Middle: Which Is Right For You?